It’s Amazon Prime Day! Let’s celebrate with some shopping! Here are some of my favorite Prime Deals happening right now! It’s Amazon Prime Day, which is pretty much Christmas in July! I’m already pretty addicted to Amazon Prime and it’s beautiful 2-day delivery and Free movies, but great deals like the ones rolling out over the next day or so make me even more excited about my Prime membership! So from now until tomorrow evening, I’ll be updating this post with the best Amazon Prime Day Deals I can find! But, as we prepare to uncover all the savings Amazon is offering, it’s important that you’re prepared when the sale kicks off at 3 pm EST today! The sale will run for 30 hours and new deals will be popping up ever 5 minutes and I’m sure many will sell out fast. So make sure you have your credit card added to your account ahead of time to make check out quick and easy! There will also be special promotions for those who have an Echo or Echo Dot, just ask Alexa for the deals and she’ll guide you to them! 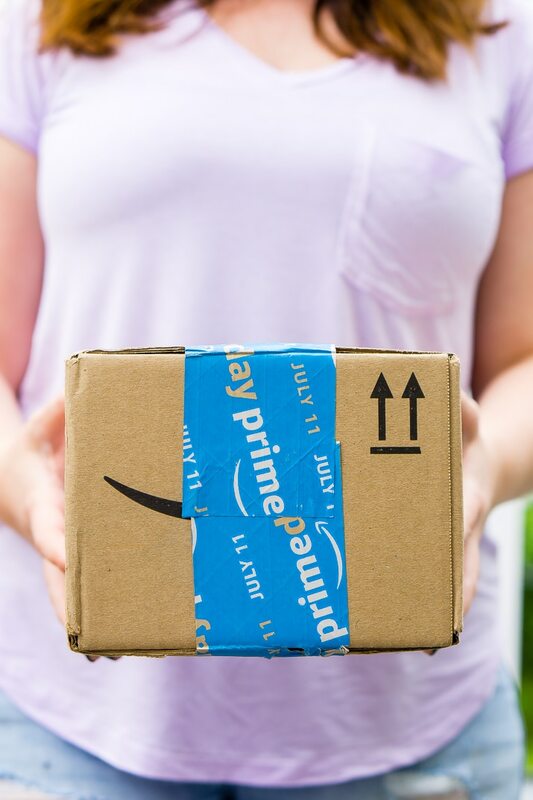 Get Amazon Prime – I’m sure many of you are already Prime members, but if you’re not, you’ll need to get a membership in order to take part in Amazon Prime Day. You can start your 30 Day Amazon Prime Trial now! Start Your Amazon Prime Trial Now! Amazon Prime Student Free TrialSign Up Today! Get Amazon Assistant – This browser extension will help you compare prices and get deal notifications as they happen! Get Amazon Shopping App – Chances are you’ll have to leave your computer at some point during the 30 hours of deals, but of course, you won’t want to miss a single one. Download the Amazon Shopping App to stay connected and up to date! Download Amazon Shopping App Now! A new addition to the Prime Family this year is Prime Pantry, yes, it technically existed last year, but now it’s a set fee of $4.99 per month and you get free shipping on orders of over $40.00. You no longer need to FILL a box or pay a separate shipping fee like before! We’ve been using it for the last two months and love it because things like spices and cereal are so much cheaper and they usually have great coupon deals too! Since the sale hasn’t quite yet started, here’s a list of things rumored to go on sale at 9 pm tonight, but some of them may be lightning deals throughout the 30-hour period. Be sure to check out the Amazon Prime Day shopping page as well to stay up to date on great deals! I will be adding more once Prime Day officially launches! These items will go on sale at a specific time, all times are in EST. I will be updating the list throughout the sale! I have broken these deals down by category like Home, Kids, Fashion, etc. to make it a little easier for you to shop! My Favorite Amazon Lightning Deals for Prime Day!Shop Now!